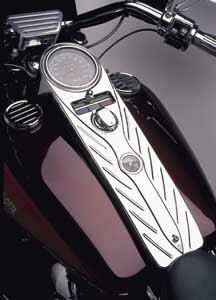 Sleek low profile dash replaces the bulky stock dash on stock 2001-2006 Softails. Measures 18-1/2" long x 5-1/2" wide x 5" high. Material is polished cast aluminum. Sleek low profile dash replaces the bulky stock dash. Measures 19-1/4" Long x 5-1/2" Wide x 4-1/2" High. Material is polished cast aluminum. part number for the Indicator is 68113-99A. All parts must be prefitted before painting. Extended measures 19-5/8, trim to fit as needed. 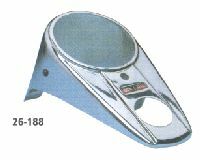 T390450V Chrome dash panel is 19-1/2" long and is constructed of ABS plastic. Rubber strip is included. 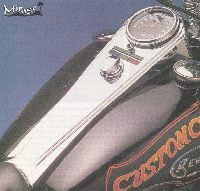 Fits '00-later Softail models (except FXSTD, FXCW/C, FLSTSB and models equipped with a Color Shop Stretched Fuel Tank). 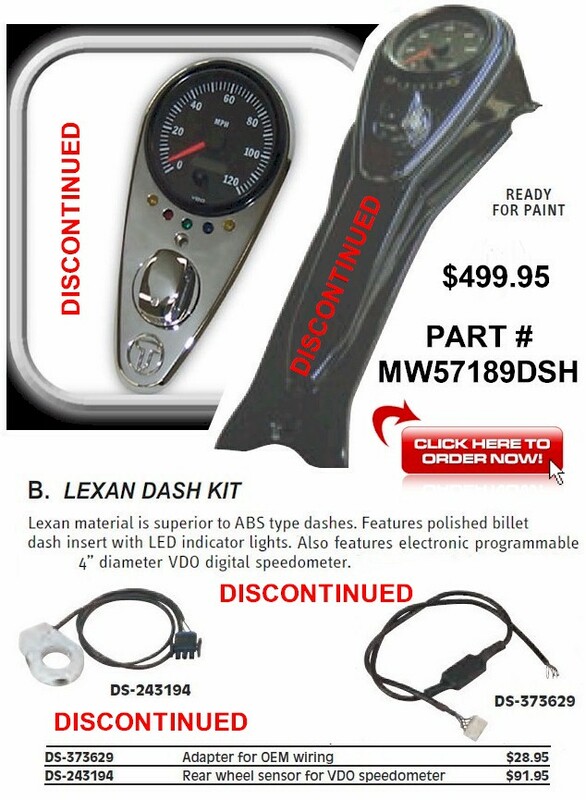 Will not fit with Combination Speedometer/Tachometer kits. Will not fit with Brawler, Stripper, Sidekick, Sidekick Custom or Rallyrunner seats or with Skull Fuel Cap P/N 75097-05. 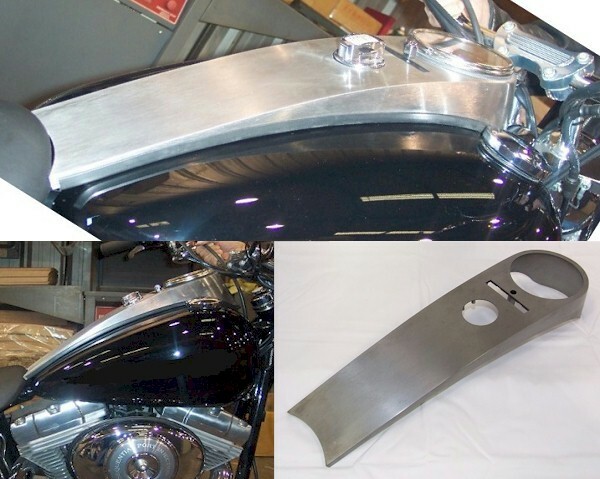 'Visually stretch the look of your Softail® model’s fuel tank. ''The custom console brings sweeping bands of chrome that run the length of the tank to add a contemporary low-profile look. ''The speedometer housing features aircraft-style “bolt-on” trim ring, and the ignition switch, turn signal and indicator lights are set into a smooth mirror-chrome field. ''The console accepts Original Equipment gauges, speedometer switch and wiring harness. 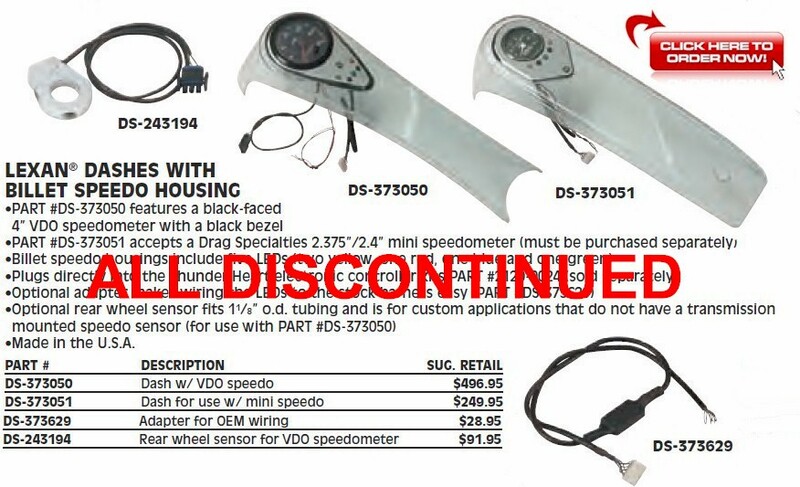 Will not fit with Combination Speedometer/Tachometer kits. Speedo / Tach combo unit has a bump on the bottom that hits the fuelpump plug and the console won't sit all the way down. Even without the wire harness it fits is about a 1/4" off. 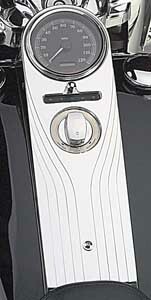 OE chrome long dash cover features a long console. 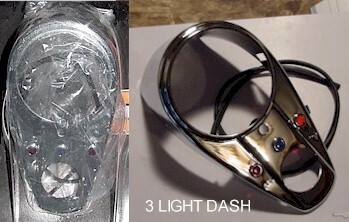 Chrome long dash cover has 2 holes to accept a speedometer and ignition switch. Kits include chrome die-cast dash with trim rubber and lenses, speedometer, ignition switch and base plate assembly with hardware. Ideal for ground-up assembly or Fat Bob® tank conversions. Available with 1:1 and 2:1 drive ratios. Note: 1991 -up self-canceling turn signals will not self-cancel. 1991 -up models use a distance counting reed switch to self cancel turn signals. The turn signals will operate normally, but will not self cancel. Features a 120 mph speedometer with built-in coil driven tachometer that works with all Harley® 12 volt systems. 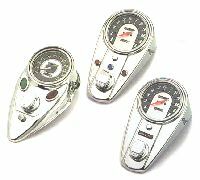 Kit includes speedometer, two-light chrome dash cover, base plate with hardware, and ignition switch with keys. Note: 1991 -up self-canceling turn signals will not self cancel. 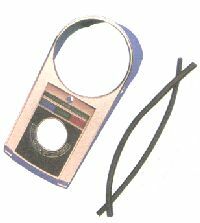 1991 -up models use a distance counting reed switch to self-cancel turn signals. The turn signals will operate normally, but will not self cancel. 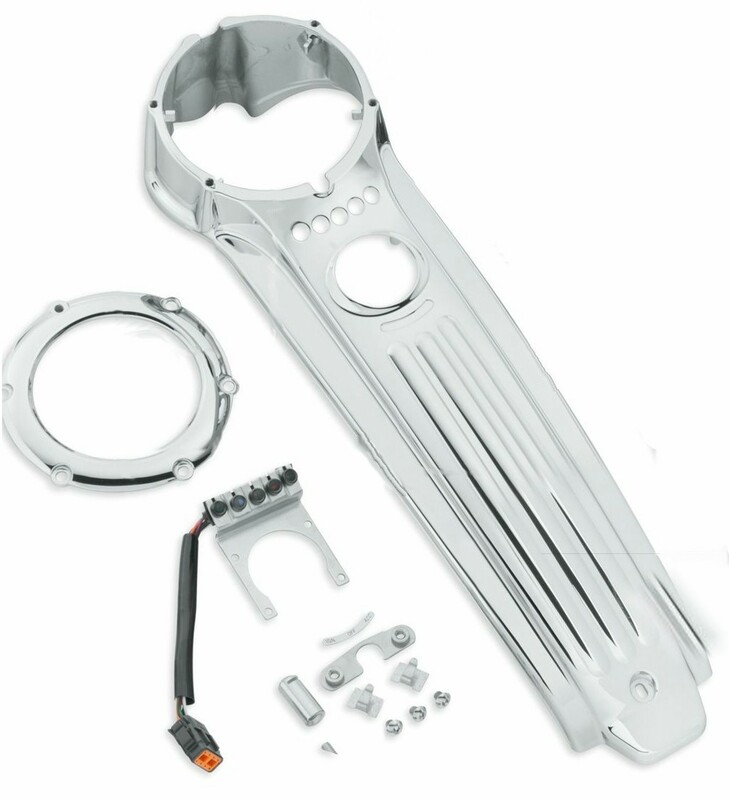 Complete kits with a speedometer, dash, trim, dashplate with light socket, and ignition switch for most Softail® models and 4-speed FL and FX models 1936 thru 1995. Note: These kits may be installed on models 1991 thru 1995 if the self-canceling turn signal feature is forfeited. Note: Cateye dash kits will not work with 'flatside' gas tanks. 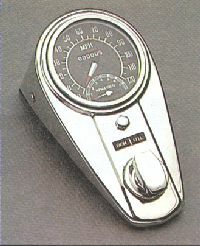 Note: 2-Light dash kits may have Speedo face similar to the one on the cateye dash kits depending on availability. 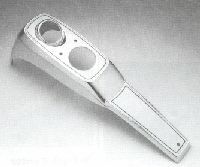 OE dash cover with rubber strip, discontinued. 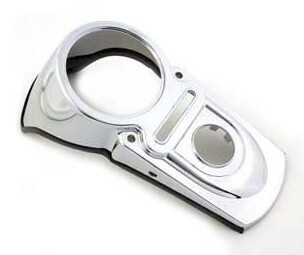 V390606T This billet dash cover is made of billet aluminum and chrome. Cover is machined to perfection for an accurate fit. Great lines and excellent finish make the dash cover a must have when customizing your bike. Cover does not fit with OE seats. Billet Style w/ oil gauge. 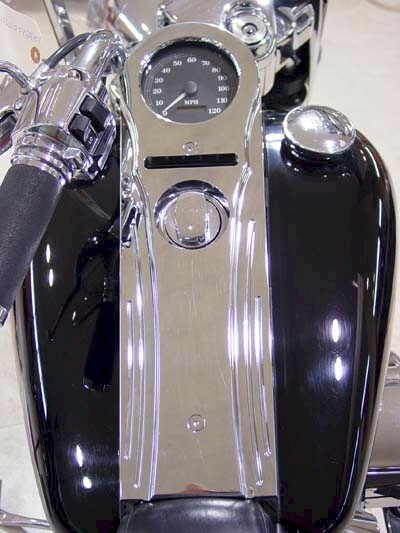 One-piece chrome-plated billet dash covers extend the full length of the tank for a great look. 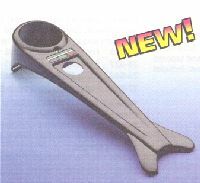 The gauge models include the gauge and all necessary plumbing, and all models come with trim rubber for tight, rattle-free fit. 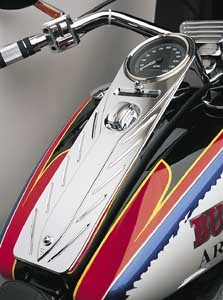 DS373556 Billet Style Dash Panel with oil gauge for Softail® models 1996 to 1999 models. The lnferno® design is now available as an insert kit for Fat Bob dashes. Chrome-plated, die-cast metal dash inserts match the styling of the wide range of lnferno® accessories allowing completely integrated custom look from the front to the back of your bike. Available in short style for use with a traditional dashes or in long style for integration with CCI 18-440 dash extension. Complete with special adhesive mounting system for easy installation and secure attachment. For all Harley-Davidson® Big Twin models (except Dyna Wide Glide®) 1968 thru 1995 equipped with Fat Bob style dash and a pre-1996 FL-style speedometer. 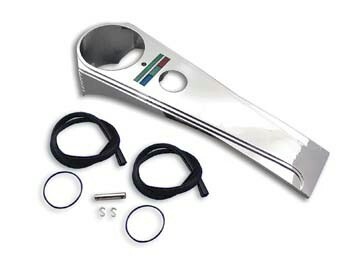 Features polished stainless steel speedometer trim ring. Retains the stock speedometer, ignition switch and indicator lamps. Stainless trim is attached with mini socket screws for easy removal during painting process. 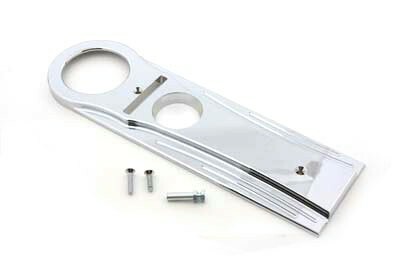 Features polished stainless steel speedometer trim ring and backing for louvers. Retains the stock speedometer, ignition switch and indicator lamps. 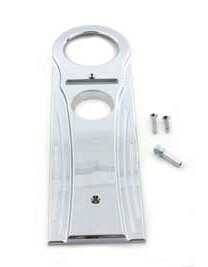 Stainless trim is attached with mini socket screws for easy removal during painting process. Features speedometer, indicator light panel and ignition switch cutouts (not shown - same cutouts as straight dashes but shaped like tapered dashes). 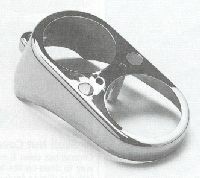 Show-chrome cateye-style dash with lenses. Replacement lenses are sold each. All hardware needed to mount dash plate and cover to correct height. 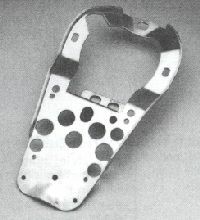 Replica of the dash cover used on 1936 thru 1938 Knuckleheads that fits the Original Equipment dash plate. 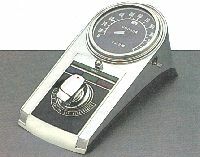 Also for 1939 thru 1946 models when used with CCI #26-190 dash base. For installation on standard Fat Bob tanks used 1947 thru 1984, use CCI #26-498 dash base (will not work with 'flatside' tanks). Heavy-duty zinc die-cast dashes are beautifully chrome-plated duplicates of their Original Equipment counterparts. Complete in every detail, each dash also includes the lenses, light divider and trim rubbers. 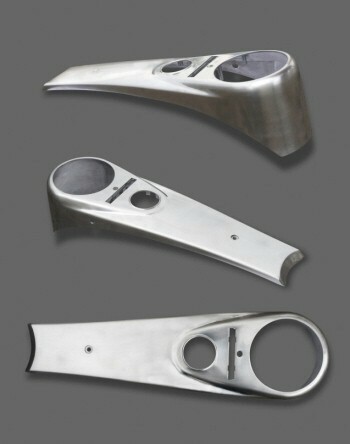 May be installed on most 4-speed frames and Softail® models when the appropriate dash base is used. These pieces will fit Original Equipment dashes as well as the dashes listed above. Show-chrome dash covers complete with lenses and trim rubber. 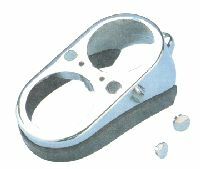 Replacement lenses and trim rubber also available separately. 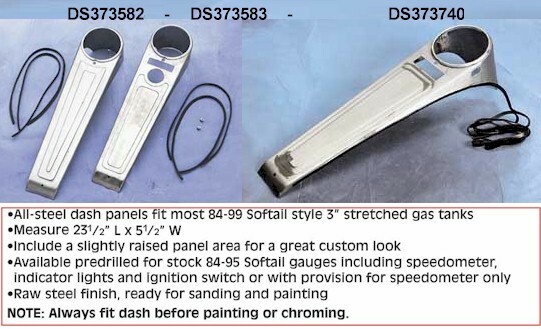 Durable and paintable dash with unique fishtail design for custom stretched tanks. Available with or without colored lamp lenses. Die-cast, chrome housing replaces the Original Equipment black plastic part fitted to FXRS Low Rider® and Dyna Glide® models (except Dyna Wide Glide®) 1988 thru 1995. 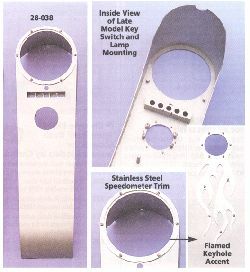 Stamped steel, chrome-plated instrument housing for tank mounted gauges on FX models 1977 thru 1984. 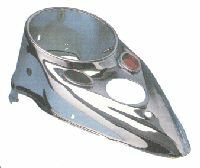 Includes thick style tank-to-housing trim rubber and warning light hole plugs for custom applications. Heavy, die-cast instrument housing for tank mounted gauges on FX models 1977 thru 1984. Same thickness and materials as the Original Equipment part. 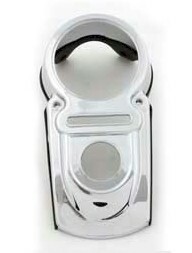 CCI's trim rubber (#26-338) and chrome mounting hardware (#26-441) will fit perfectly. Chrome-plated replacement dash. Fits 1982-83 FXR, 1984-87 FXRS, FXRT, 1986 FDRD, 1987-92 FXR, FXRS-SP, FXRS-CON, replaces 61411-82. The 2 holes accept a fuel gauge and gas cap. 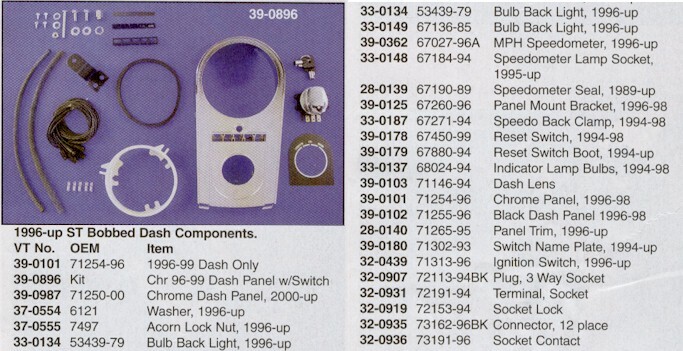 All the chrome parts in one convenient kit to help you convert to the dash used on several models 1977 thru 1984. Will not work with flat-side tanks. 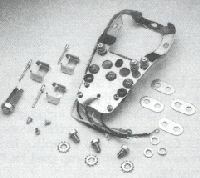 Complete odometer reset cable assembly for all 4-speed FX models (except FXWG) 1973 thru 1984. Includes chrome knurled knob, rubber grommet, washer, spring and flexible cable. Fully assembled, ready to install. Thick style, black rubber trim for FX dual instrument housings. Neatly fills the open space between the tanks and the instrument housing while isolating the gauges from vibration. 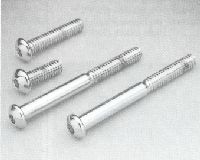 Complete 4-piece set of chrome plated, buttonhead panel screws. 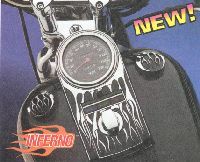 Fit all Low Rider® and FXEF dashes 1977 thru 1984. 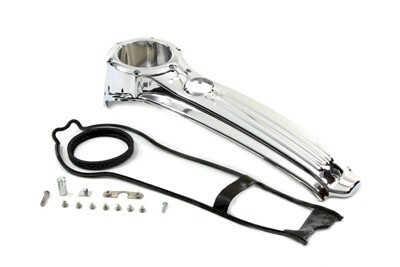 A complete mounting kit for all models 1968 to present with cast-style dashes (except Dyna Wide Glide® models). Includes all the hardware and spacer necessary to fit both the standard early-style Fat Bob tanks and the later-style flatside Fat Bob tanks. 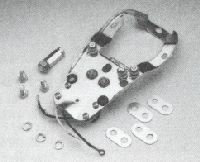 Also included are the circuit breaker clips, the rubber strip for mounting circuit breakers with flatside tanks, ignition switch mounting screws, three insulated terminal studs and five light sockets with bulbs. Everything necessary for a quick and easy installation. 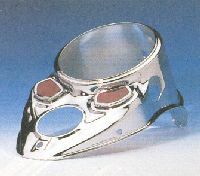 Chrome nut cover is made in the U.S.A. by Wild 1 Mfg. 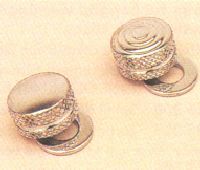 It provides a classic way to dress-up the hardware that holds the cast dash in place. Each kit includes silicone for installation and two red rhinestones for the eye sockets. 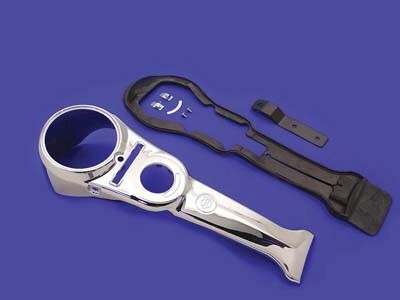 For the cast dash on all models without a dash-mounted choke cable and includes a low-profile nylon-inserted locknut. Includes chrome-plated center screw with stud and hardware. For Big Twins 1947 thru 1967 as original part replacement or can be used on custom application where choke is not brought through dash. Add a classy-looking accent to your dash with one of these chrome-plated billet dash knobs. Available with smooth top or with grooved detail that matches other billet accessories by Alley Custom such as hub and pulley covers, gas caps and headlight housing. For all Big Twin models 1990 to present. 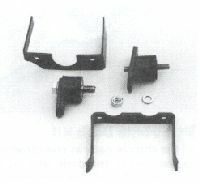 Basic mounting plate for use with Bob dash covers #25-972 and #26 when dash lighting is not desired. 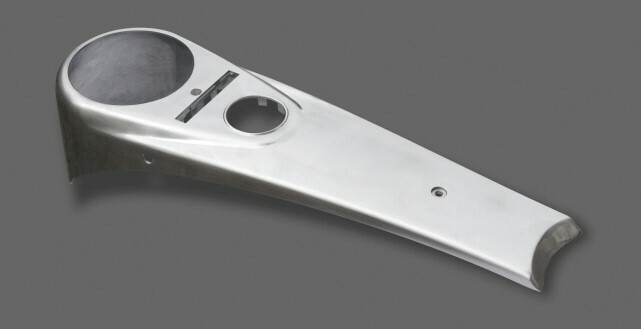 Used when installing FX tank mounted twin pod gauges on pre-1985 3.5 or 5.0 gallon Fat Bob tanks. Exacting reproduction of stock pieces, complete set includes Speedo and tach cup brackets, hardware and the correct rubber mounts. 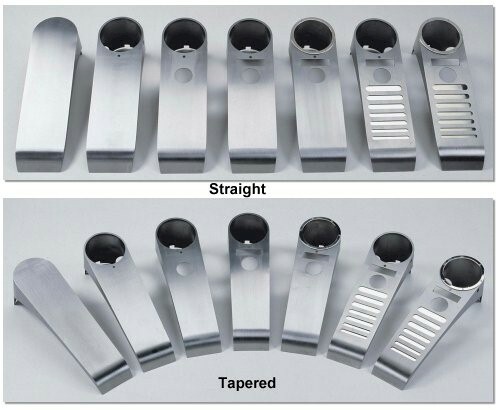 Custom Metal Dashes - Available as " STRAIGHT CUT" or "TAPERED CUT"